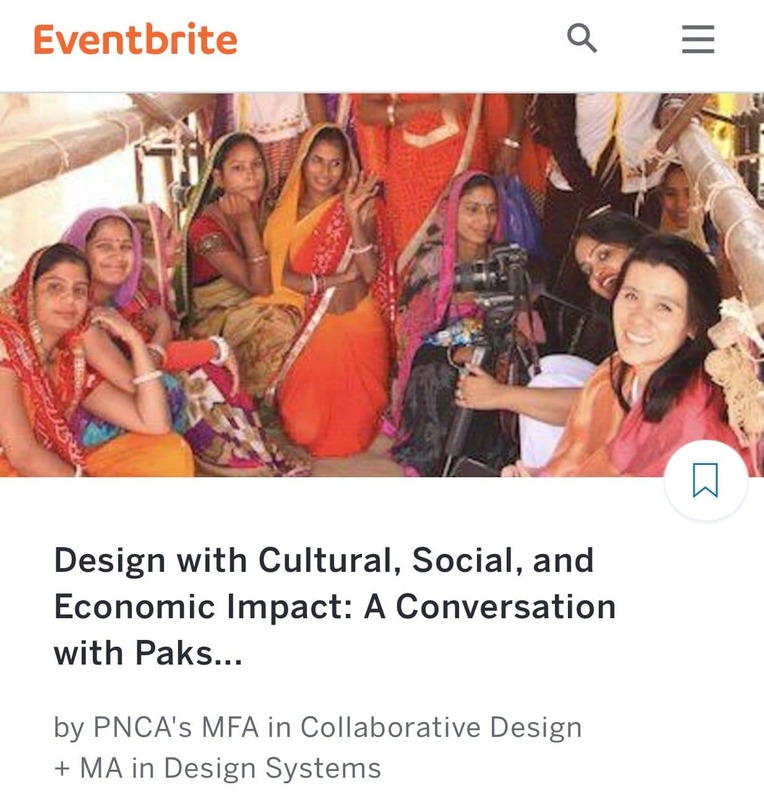 PNCA’s MFA Collaborative Design and MA in Design Systems are excited to welcome impactmania’s founder Paksy Plackis-Cheng for a conversation about design with cultural, social, and economic impact. Paksy will be speaking with Jody Turner, Adjunct Professor MFA Collaborative Design and collaborator on impactmania since its inception in 2016. 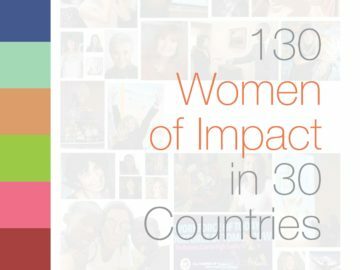 Paksy will share what she’s learned from interviewing close to 300 activist-investors, social entrepreneurs, award-wining designers, and other movement makers in 21 months. She touches on the future of work; how robots/AI have nothing on your emotions & creativity (yet! ); and why she expects PNCA students to be the next impact makers. In PNCA’s BridgeLab. 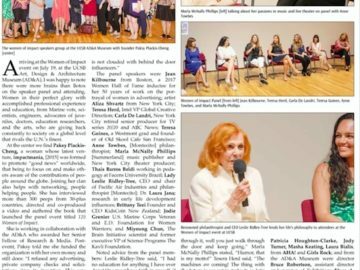 impactmania’s current project, 101 Women of Impact, will launch July 19th, 2018 at the Art, Design & Architecture Museum, University of California, Santa Barbara (UCSB). 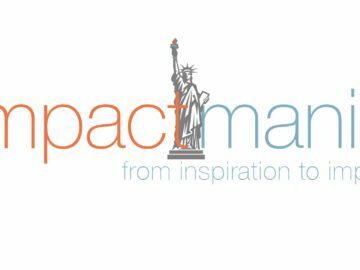 Paksy Plackis-Cheng, founder of impactmania, has lived in the USA since 2001. 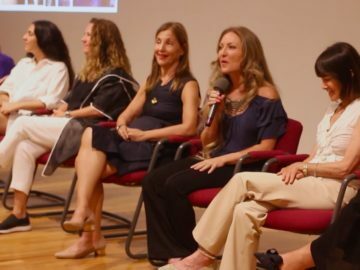 For impactmania, she has interviewed close to 300 impact makers (from an Ambassador to a U.S. Presidential Award winner) in 20+ countries across 5 continents in 21 months. Paksy directed and co-produced a video story that was featured at the United Nations (2017). Prior to impactmania, Paksy managed marketing and strategic partnerships in EMEA for startups (through IPO, M&A) and mature tech companies. She has served on half a dozen boards, including two seasons as the Board President of the Santa Barbara Symphony making her the youngest President in the organization’s 60-year history. Paksy graduated from the Erasmus University, Rotterdam, The Netherlands. To register for the event on December 6th, 2017, click here.